MUST SEE!!!!!! !OFFERS, OFFERS, OFFERS >>>LOW PRICES >>>EXCELLENT VEHICLES >>> GREAT CUSTOMER SERVICE>>>>HUGE SELECTION!!!!!! WE WHOLESALE TO THE PUBLIC WANTS TO SAVE MONEY $$$$$ STOP BY TODAY AT SAVE MONEY AUTO SALES!!!!!!!!!!!!!!!!!! PLUS WE ACCEPT : DEBIT, VISA AND MASTERCARD, SO WHAT ARE YOU WAITING FOR STOP BY TODAY!!!! 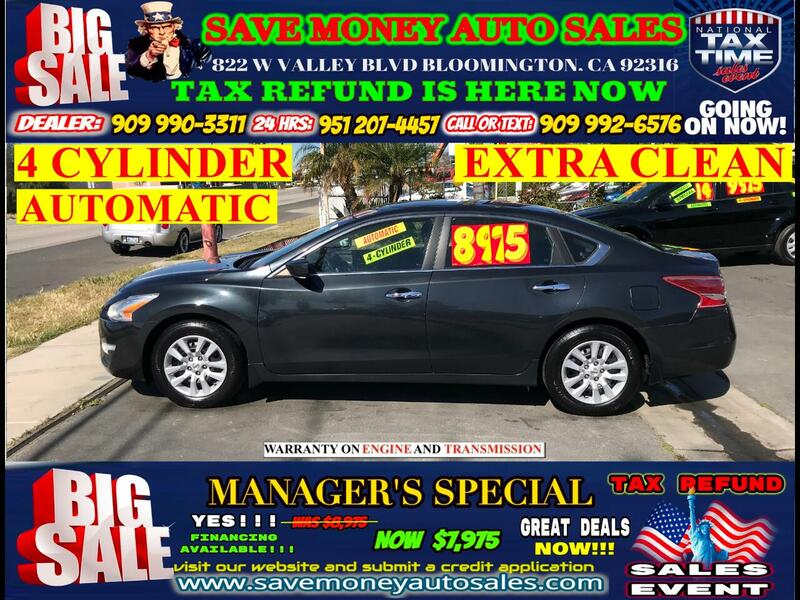 ALSO VISIT US ON THE WEB: ((((( WWW.SAVEMONEYAUTOSALES.COM ))))) .... AND IF YOU STILL NEED ANOTHER REASON TO BUY FROM US>> WE GIVE YOU A LIMITED WARRANTY ON ENGINE AND TRANSMISSION!!! Tax and registration, do not include finance charge or other fees from credit finance charge. Plus We DO NOT Sell Salvage Vehicles!!!! FINANCIAMOS CON NUMERO DE ITIN, MATRICULA CONSULAR Y SI TIENES MAL CREDITO TAMBIEN PODEMOS AYUDARTE o.a.c. Disclaimer Published price subject to change without notice to correct errors or omissions or in the event of inventory fluctuations. Finance available on approved credit. All prices are cash and do not include finance charges or any other fees.